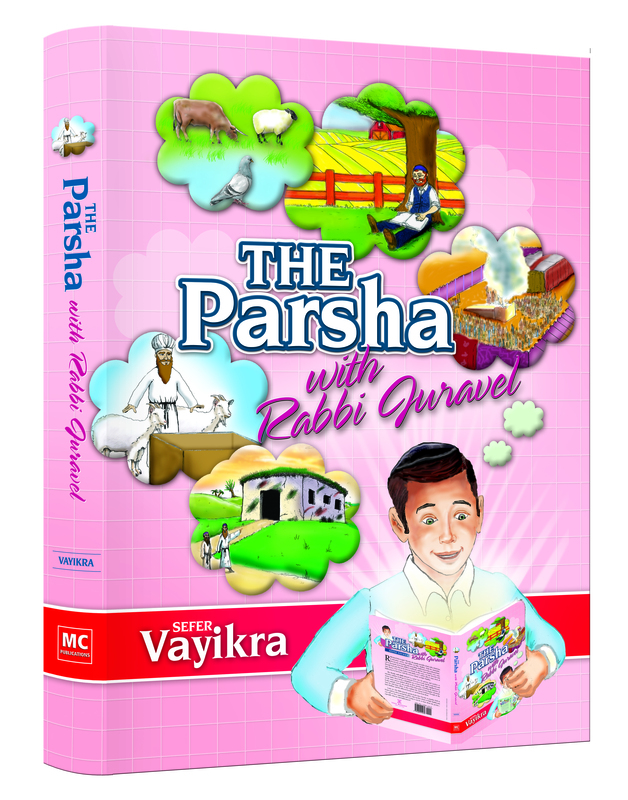 The Parsha with Rabbi Juravel VAYIKRA – In stores now!!! Attention all parents out there whose kids are Rabbi Juravel fans! So, Sefer Bereishis is long over, and Sefer Shemos is soon coming to a close. And you know exactly what that means. Yes, we’ve heard your gasps and moans from wherever you live all the way to our office in Lakewood. What all of you want to know is: When is Rabbi Juravel coming out with a book on Sefer Vayikra? Your kids have devoured Rabbi Juravel’s other 2 parshah books, on Sefer Bereishis and Sefer Shemos. They love his style, his exciting way of telling the stories of each parshah, his clear explanations of the mefarshim, and his interesting “Did You Know?” tidbits and sidebars. But that was all for Bereishis and Shemos; what about Sefer Vayikra? You’ll be happy to know, then, that you have nothing to worry about: Rabbi Juravel’s parshah book on Sefer Vayikra has just been released! And what a book it is! The popular storyteller is back with a whole host of midrashim, stories, and tidbits on Sefer Vayikra, focusing on the many mitzvos spoken about in these parshios, including the halachos of kosher animals, tzara’as, shemittah, and many others. The book also explains the various korbanos brought in the holy Mishkan, and the different lessons we can learn from them. Your kids will love this newest jewel of Rabbi Juravel—and so will you! In the aftermath of the “Great Recession”, it has become harder than ever for frum families to achieve economic stability. Costs are rising while salaries have fallen – and many frum families, whose expense sheets include tuition, kosher food, and large families, have nowhere to cut back. Meanwhile, many young fathers who are contemplating leaving yeshiva for the first time face an even tougher task than most. Because of the terrible state of the economy, entrepreneurship is riskier than ever, so yeshiva graduates are more inclined to look for jobs. But the prevailing 10% unemployment level means that there are not enough jobs even for people with proven skills and years of experience. There is no easy solution for any of this. Success comes from the Ribono Shel Olam, often through the classic hishtadlus combination of networking, creating a competent resume, polishing skills, and pounding the pavement. Several organizations help people with that hishtadlus, notably, PCS and Mesilah. 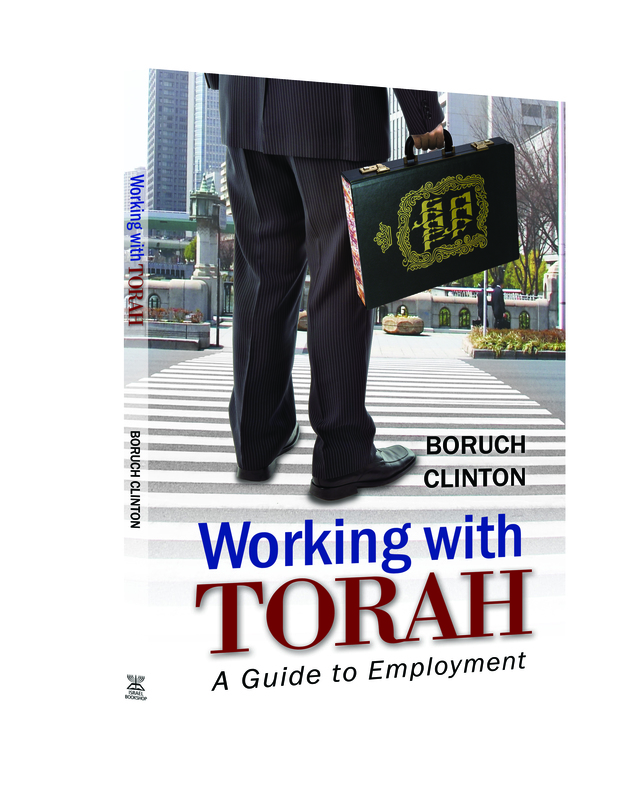 A new resource that promises to help bnei Torah research jobs is the new book by Rabbi Boruch Clinton, Working with Torah. Rabbi Clinton is a rebbi in Ottawa, and is the author of several previous books. In Working with Torah, he presents the fruits of meticulous research and Torah knowledge. The amount of career advice in the Gemara is astounding. What sort of job is ideal for a ben Torah, and which careers should a ben Torah avoid? How much hishtadlus should a person put in to parnassah? What attitude should one take toward ones occupation, especially as compared to avodas Hashem? The Gemara and mussar sefarim address all of these questions, and Rabbi Clinton, in Working with Torah, collects the advice and makes it relevant to the bnei Torah of the 21st century. In addition to the Torah part of Working with Torah, there is also a working part. The book outlines how to choose which type of careers are relevant. It discusses different types of careers and different training options; as well as the advantages and disadvantages of many. For certain careers, a college degree may be necessary, for others, a vocational program may suffice – and will avoid many of the problems associated with universities. How should one interview? Create a resume? Market oneself to potential employers? Where should one look for job openings? Working with Torah addresses all of these questions concisely, with answers that fit the situation specific to bnei Torah. There are an infinite number of books and websites on the subject of finding and maintaining employment and balancing a career and lifestyle. But Working with Torah is the only one that is written specifically to address the unique needs and circumstances of yeshivaleit. Together with the other resources that the community develops to assist Klal Yisrael in the pursuit of parnassah, Working with Torah can be the means by which the Ribono Shel Olam provides us with an easy and ample livelihood.